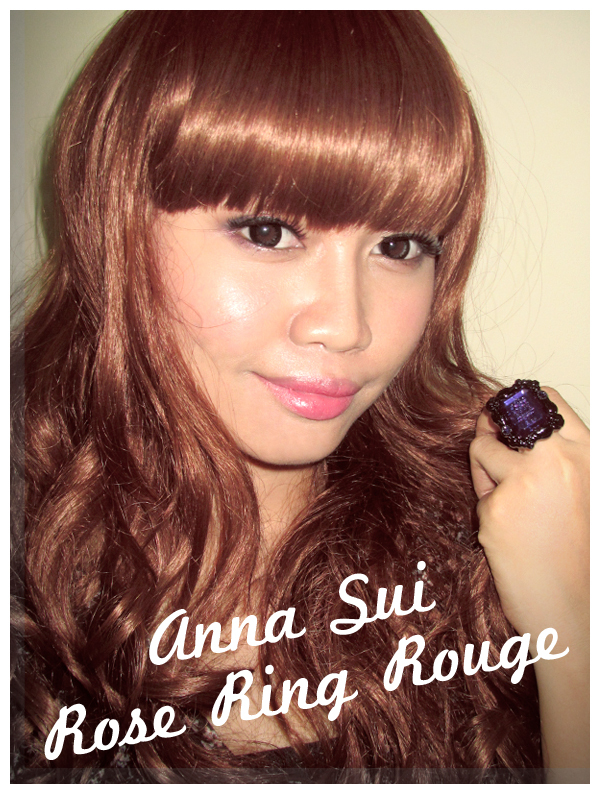 First, you have to read this post, xoxo.. As I promise you, this time I want to share my review of products that I got: Anna Sui Rose Ring Rouge & Anna Sui Lipstick. 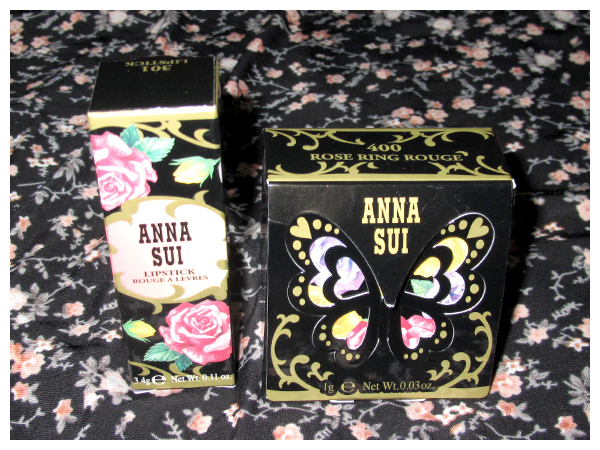 Here they are..
Like the other Anna Sui products, it comes in a black box printed with Anna Sui signature pattern; butterfly or roses illustration. 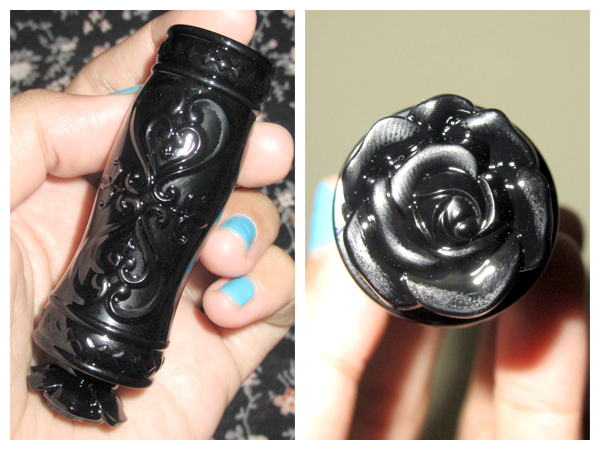 The packaging design is also black with Anna Sui signature style: vintage-gothic. 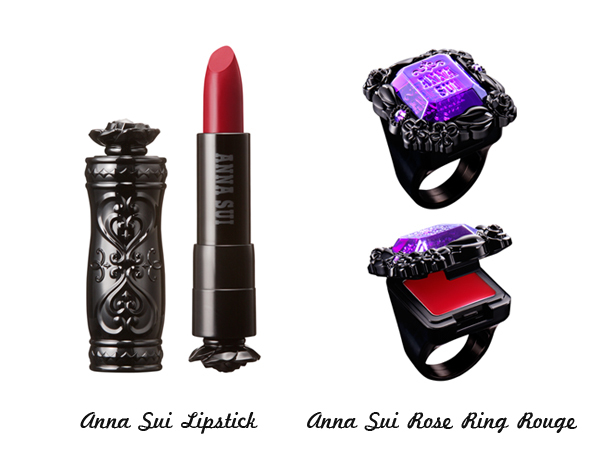 Both of them are Anna Sui Autumn 2013 Collection. 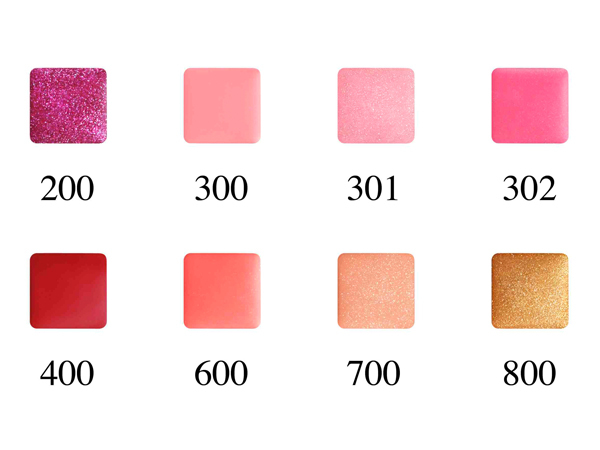 Beside these items, there are also Foundation Kit and Miniature Box in this Autumn 2013 Collection..
What is the difference between 2 bases? I really love this product! It's so cute, travel friendlyand multifunction, Yeah! Just put it on our finger as a good luck charm so we can apply the gloss anytime, anywhere! The ring packaging is brilliant! Every ladies will love it I'm sure!! ^^ It can still be collected after it's empty. Overall, I love them both! These lip colors don't make my lips dry. 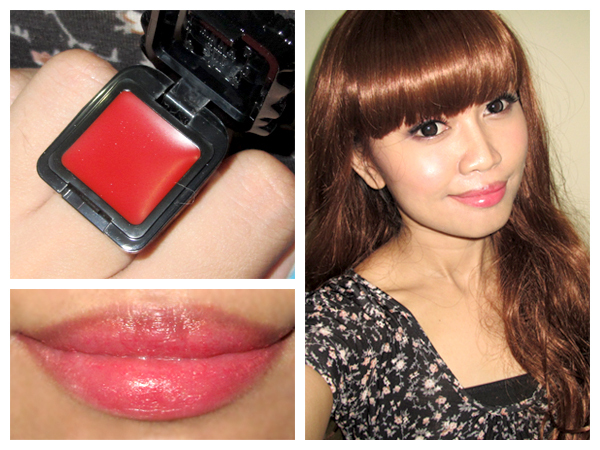 They become my current favorite lip color, worth to try! Oh really cute color of lipstick! hope seeing you new post soon. 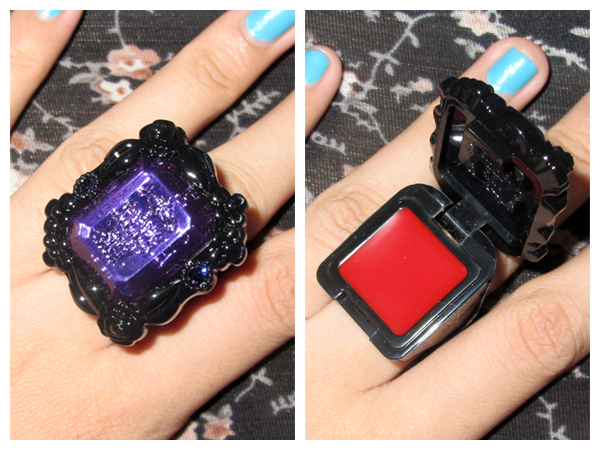 I love the ring rouge too. Melissa> Thank you so much for visiting dear..